OK. 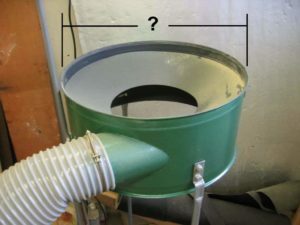 So you are looking to upgrade your Cloth Bag (or cartridge) to a High Efficiency pleated filter. First, go ahead and remove the upper bag. Measure the Outside Diameter of the upper rim.